Aside from our mtb trips, we're also ideally situated for the ultimate in road cycling holidays too! 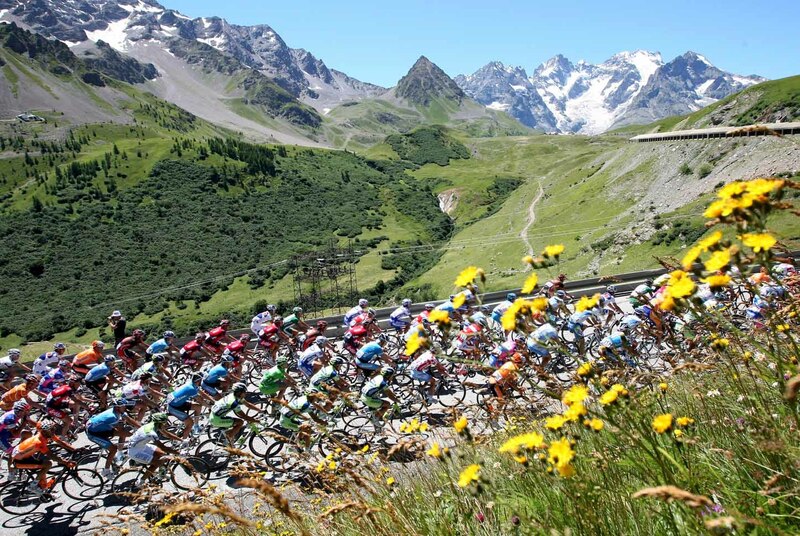 Situated in the centre of Briancon, our luxury catered chalet is at the foot of some of the biggest and most iconic names in the cycling world - the Col du Galibier, Lautaret, Izoard, Granon and Telegraph. We're also very close to Alpe d'Huez, the Glandon, Croix de Fer, Sestriere and more, and we can assist with all the vehicle, mechanical and logistical support you need during your stay. 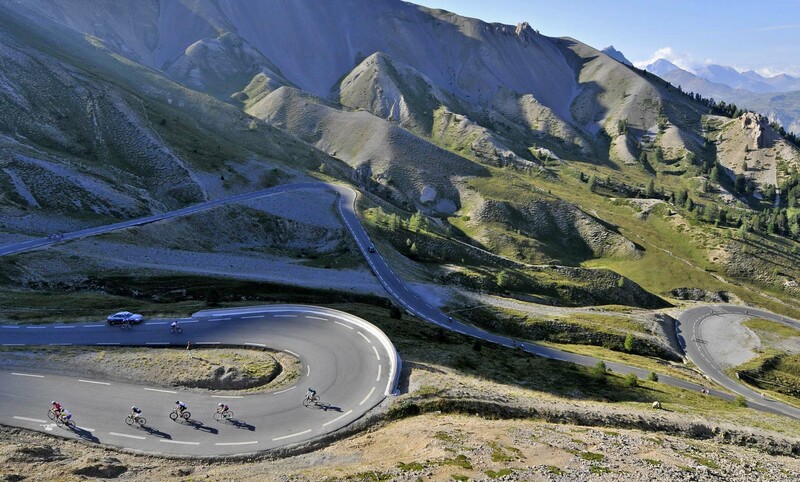 A regular stop for the tour de France - again in 2019, the medieval city of Briancon is a great hub to cycle the high alps and watch Le tour as the circus comes through town. This year sees stage 18 from Embrun to Valloire passing through Briancon, the Izoard, Col de Vars and the Galibier, so it should be a classic! Not only can you ride these incredible routes straight out the door, but we can assist you with longer tours too. For example you could ride south taking in the Col de Vars and the Bonnette, where we can pick you up and bring you back to the chalet for a soak in the hot tub! The possibilities are pretty endless from our base here in Briancon and we can provide all the support you need so that you can just concentrate on the riding with minimal fuss. Our chalet which is situated right in the town centre sleeps up to 10 people in 5 ensuite bedrooms, with outside hot tub, large living area with UK tv, secure workshop and stunning mountain views. We offer a discount on our regular mtb trips for cycling holidays, at 600 euros per person catered, which includes 7 nights accommodation, delicious and hearty breakfast and evening meals, and all the vehicle support you need. Airport transfers from Turin are an extra 100 euros per person. 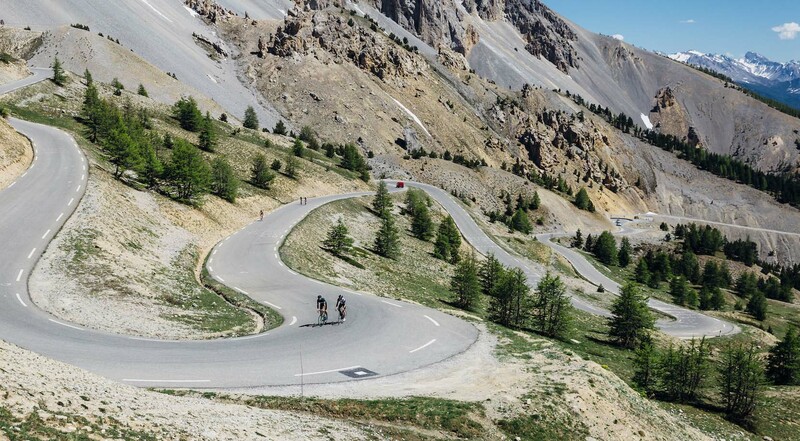 Staying in our luxury chalet in the centre of the beautiful, medieval walled city of Briancon - the home of Alpine road biking, you'll have easy access to the biggest Cols in the biking world - the Col de Galibier, the Izoard, Telegraph, Granon, Lautaret and Alpe d'Huez. There's also an endless amount of stunning and less well known routes right out the door, but with our dedicated vehicle support there's no need to just ride a loop from the chalet. For example you could head as far south as you like taking in the Col de Vars and the biggest of them all - the Col de la Bonnette, where we'll pick you up and bring you back to the chalet for a delicious meal and a soak in the hot tub! Or head out west for a loop around the emerald glow of the lac Poncon. It really is as good as it gets as a road biking package and we're there all the way as backup with vehicle and mechanical support, and anything else you need for a truly epic trip! Briancon is totally unique in the alps, a busy, medieval town all year round with a large range of local and international cuisine, cosy bars within the citadel walls and the true home of road biking in the alps. You'll find more cyclists here than anywhere else in the else in the Alps during the summer months so you're sure to find other like minded riders and a real good buzz around the town. It's a regular on the Tour de France route and 2019 is no exception, with stage 18 passing through on a brutal route from Embrun to Valloire, taking in 3 hors categorie climbs en route. Our luxury chalet in Briancon features a quiet town centre location in walking distance to all the bars, restaurants and ski lifts, with outside hot tub, secure bike workshop and storage, ensuite rooms, garden and large balcony where you can eat delicious home cooked meals, sip some local wine and take in the incredible views over the mountains! 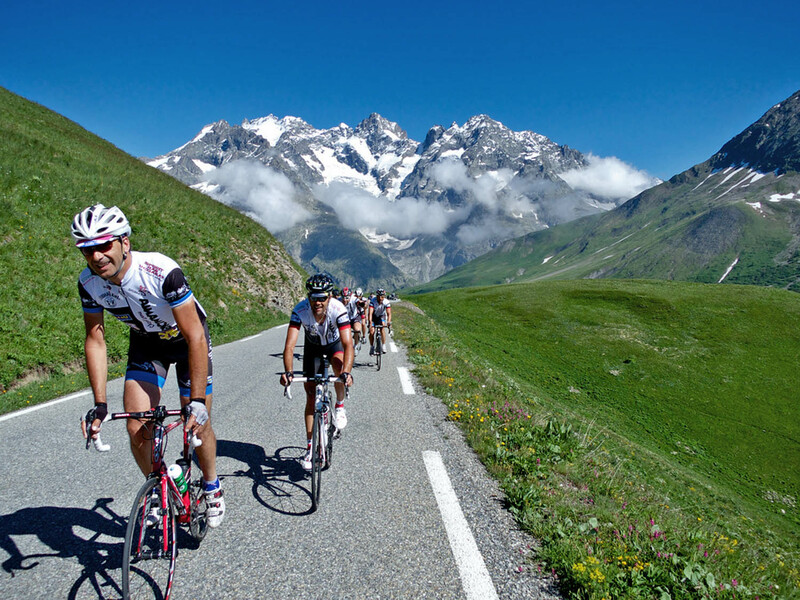 Our road cycling holidays run from June until October. Prices are per person and include accommodation in our chalet, breakfast and evening meals and any vehicle support we need. We offer a 5% discount for returning customers and 2 week bookings. A week's stay with us includes 7 nights accommodation, breakfast and evening meals and all the vehicle support you need. Long weekends include up to 4 nights accommodation and as much riding as you can get in depending on your arrival and departure times. We offer airport transfers from Turin airport for 100 euros per person return. A 50 euro supplement applies for single travellers. In any correspondance with us be sure to let us know your contact details, group size, dates required and a little bit about yourself - ie; any specifics about your trip that we can help you with.